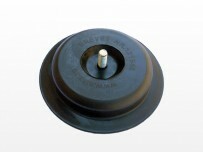 Magnetic suction cup Ø90. 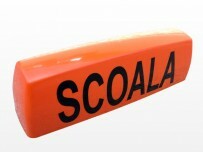 This product was designed to facilitate the installation of taxi roof signs and driving school vehicles. Three distinct elements make this product easy to use and necessary if using our roof signs. 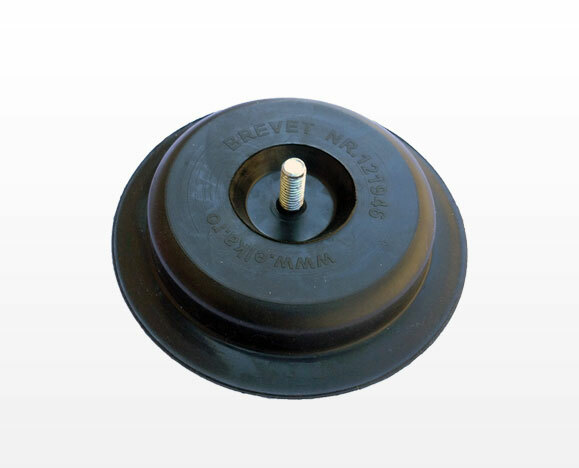 The magnetic suction cup is fitted with a M6 screw, 16 mm long which is screwed into the nuts that fasten the lamps. The magnet embedded in the magnetic suction cups connects the vehicle lamp to the metal ceiling while plastic and rubber are used as suction cups which, at the same time, do not allow it to slide on the car ceiling. 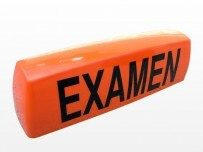 For any type of roof signs brand ELKA taxi or driving school 2 magnetic cups are sufficient to ensure stability for vehicle moving in compliance with the legal speed limits and instructions for usage.